Pothashang News Service: Imphal, July 19, 2018: The 48- hour general strike imposed by Manipur University Students’ on Tuesday midnight continued to disturb the normalcy is Manipur till Wednesday. The strike began at midnight on Tuesday. It is supported by the All Manipur Students’ Union, Students’ Union of Kangleipak, Apunba Ireipak Maheiroi Singpang Lup, Democratic Students’ Alliance of Manipur, Manipur Students’ Federation, Kangleipak Students’ Association and the All Manipur Muslim Students’ Organisation. Local organisations also voluntarily supported the strike. During the 48 hours general strike supporters at different parts of Manipur valley came out on the streets to block vehicular movements. All business establishments were closed and vehicles remained off the roads. Protesters blaze up tyres on the roads; barricaded with poles, stones and benches in different parts of the state. 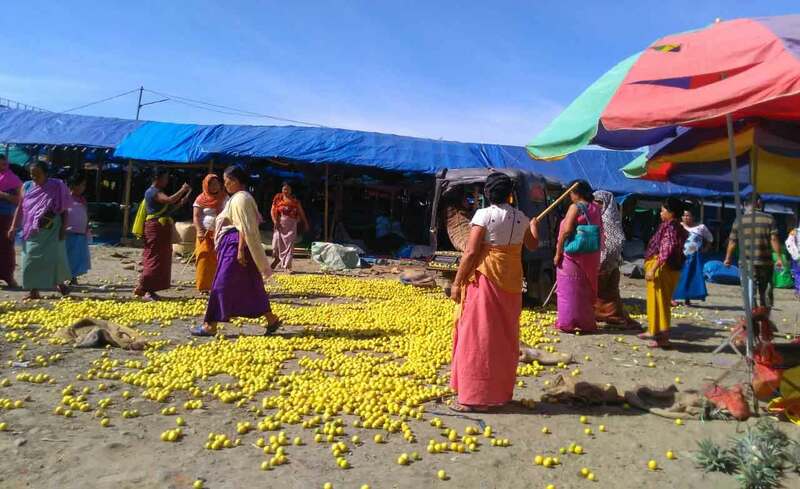 Strike supporters scattered trading items transported at Imphal market. Imphal city and other towns in the state wore a deserted look. Essential services and religious activities were exempted during the strike. All Manipur Working Journalists Union has strongly condemned the act of bandh supporters for allegedly attacking an office assistant of a local newspaper at Kakwa area in Imphal West on Wednesday evening and allegedly snatched Rs 2000 from him after vandalising his vehicle knowingly he works at a media house. The journalist body has appealed strike supporters not to make such act happen again.